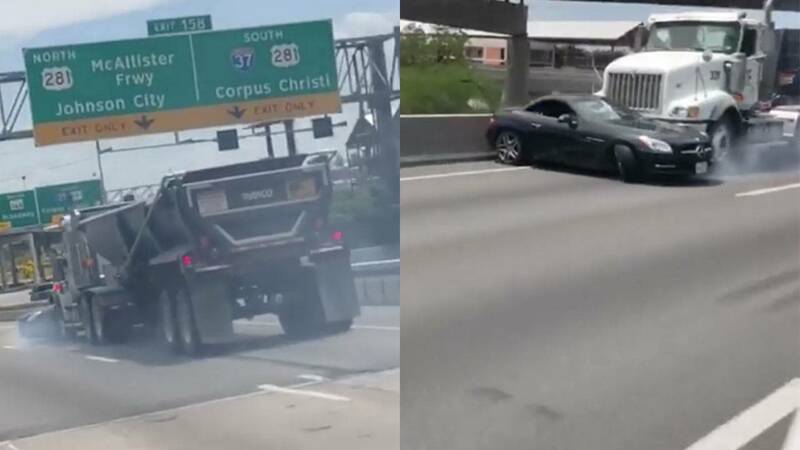 SAN ANTONIO - The driver of the Mercedes-Benz seen in a wild, viral video being pushed by a semitrailer down Interstate 35 has filed a lawsuit against the semitruck driver and the trucking company he works for. Leon Morris, the Mercedes-Benz driver, is suing Raymond Morales -- the semitruck driver -- and his employer, Timms Trucking & Excavating, for damages of more than $1 million. The lawsuit alleges Morales made an "unsafe lane change and caused a crash" and that he "failed to pay attention to the road and failed to keep a proper lookout when (Morales) struck (Morris') vehicle." According to the lawsuit, Morales was working at the time driving a "vehicle owned, leased or under the permit" of the trucking company. The accident, which occurred Aug. 20, was captured on video showing the 18-wheeler pushing a two-door Mercedes-Benz down I-35 North past the exit for 281. 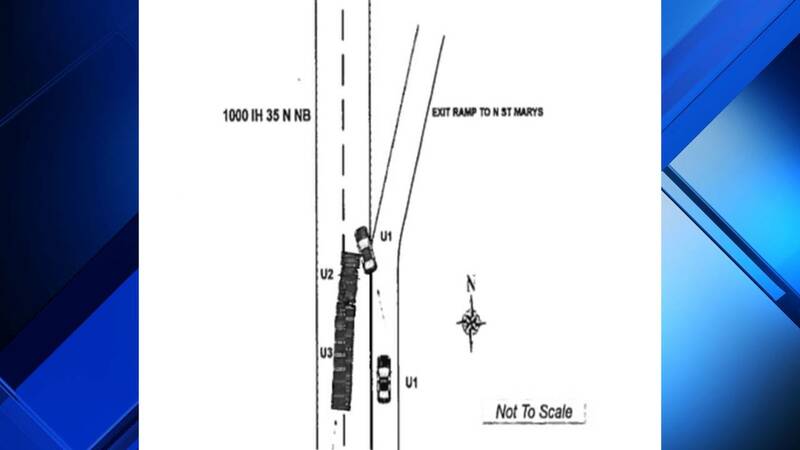 A day after the accident, KSAT.com obtained the accident report revealing Morales had told police he didn't realize he was dragging the Mercedes and that he tried to stop when finally recognizing the car in front of the 18-wheeler. The man who shared the viral videos on social media said the truck pushed the Morris' vehicle for nearly a mile. Police said Morris was transported to the hospital, with the lawsuit now alleging Morris sustained "severe injuries" in the crash. KSAT.com reached out to Morris around the time of the accident, but that his attorney allegedly instructed him not to talk to the media. **WARNING: The videos contain graphic language.